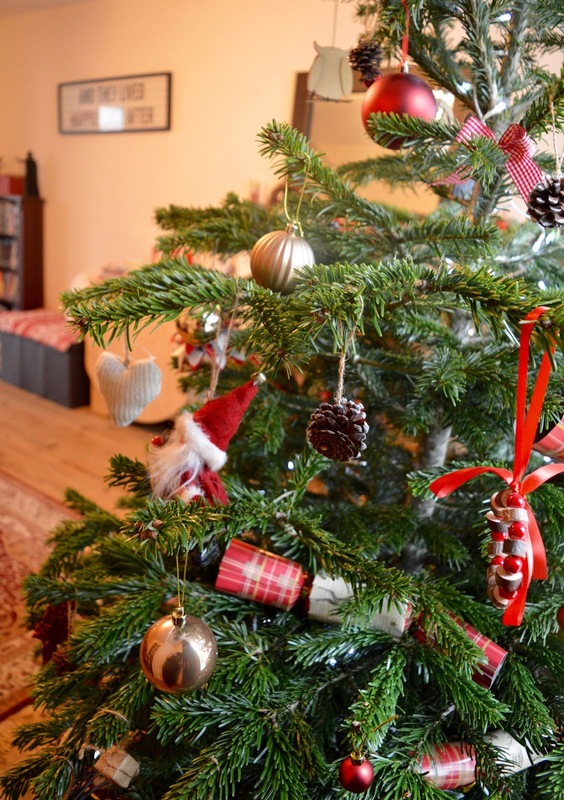 We've never been the type of family who buys a real Christmas tree. We always had an artificial tree as a child and I guess I just followed that tradition. I do think they look beautiful but I've always thought it was a lot of hassle. 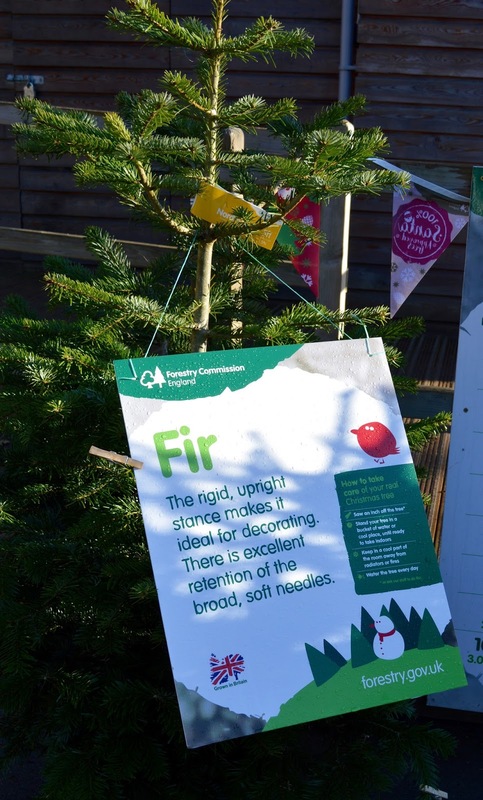 I am a Forestry Commission Ambassador and this year, they asked us if we'd like to choose a real Christmas tree from their forest and write about our experience. 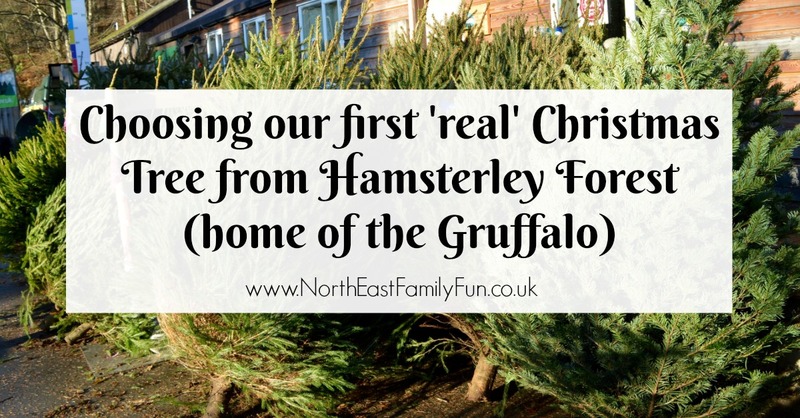 At this point I would like to point out that I could have easily picked up a £20 real tree from the supermarket and I wouldn't need to write about, plus it is around a 3 hour round trip to Hamsterley Forest for us so it wasn't the fact that I was being given a 'free' tree that persuaded us to give it a go. 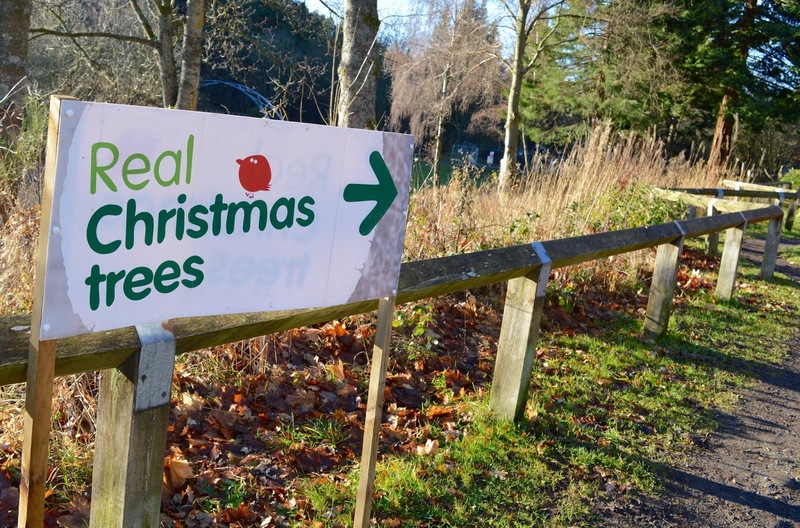 Why Choose a real Christmas Tree from the Forestry Commission? 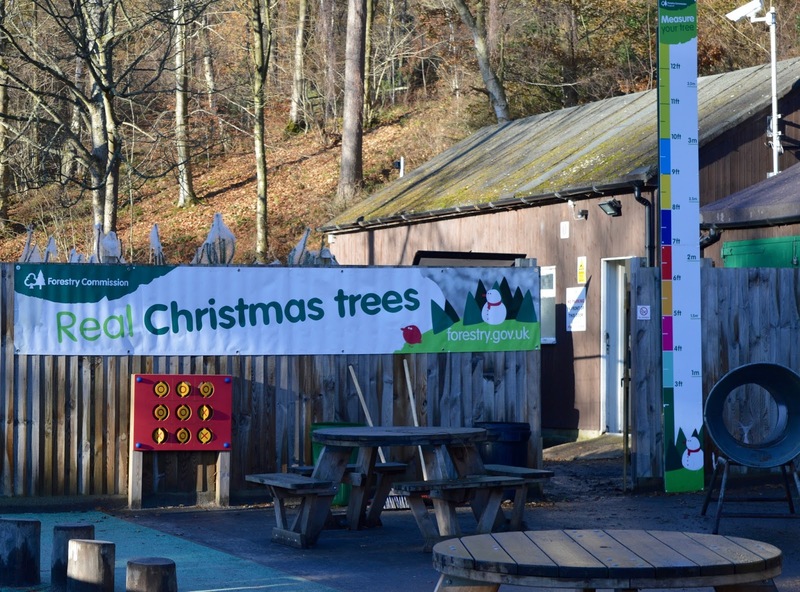 There are 15 Forestry Commission Forests selling Christmas Trees in the UK this year with Kielder in Northumberland and Hamsterley in Durham being in the North East. 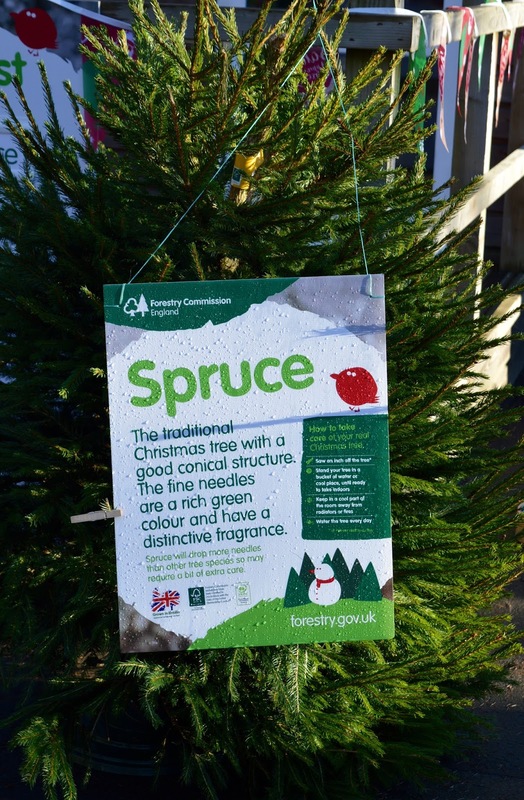 The famous Christmas Tree outside Parliament actually comes from Kielder Forest and is said to be one of the most viewed Christmas trees in the world. If it's good enough for Parliament, it's definitely good for us. 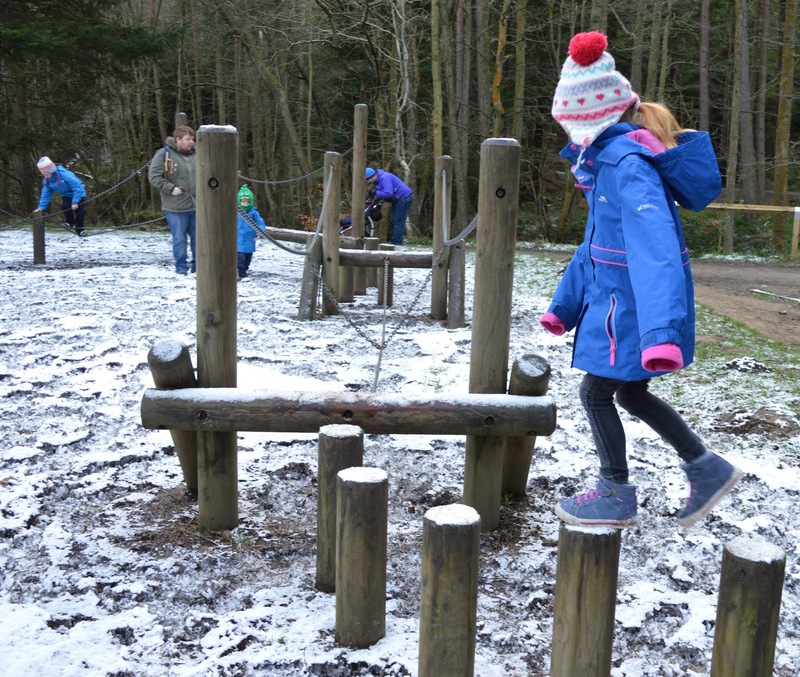 We headed to Hamsterley Forest in Durham and parked up (parking charges apply) before heading over to the cafe/visitor centre at the forest entrance. 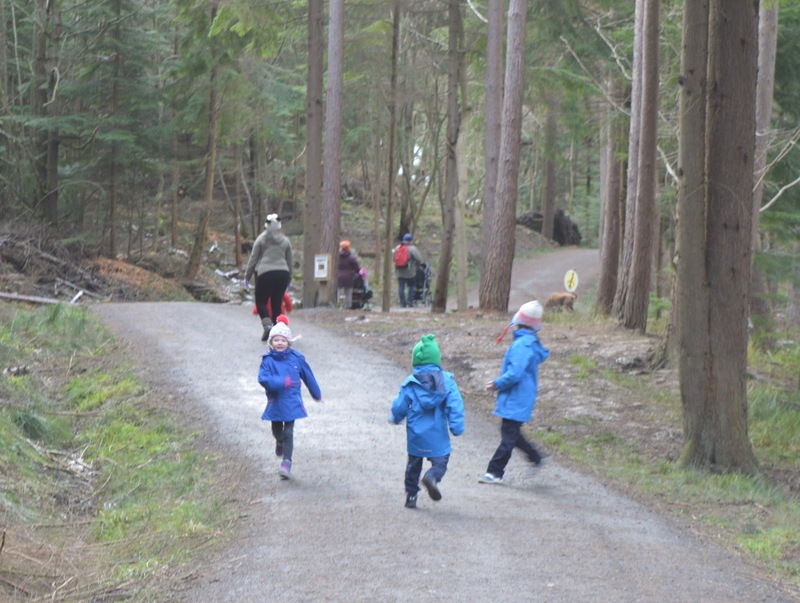 First of all, what I loved about this site was that the trees were in an enclosed area outside of the cafe and there were stepping stones, sand pits and activities to keep the kids entertained. Perfect if you'd like to get them involved. 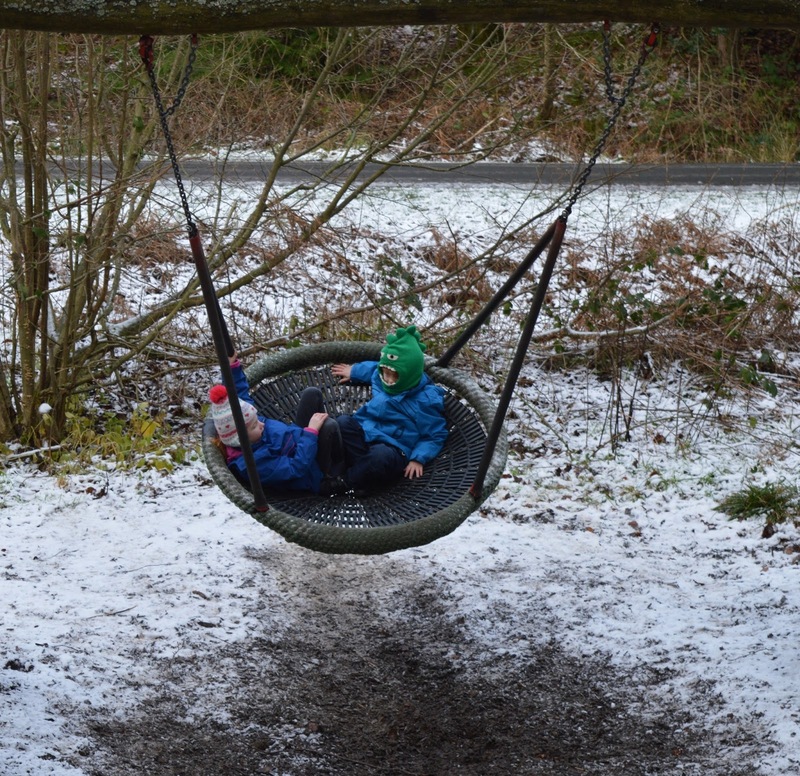 I would have really loved to have taken H, H and J along but unfortunately, Steve is working every weekend and needs the car so we had to go on a weekday when he was off work and they were at school. 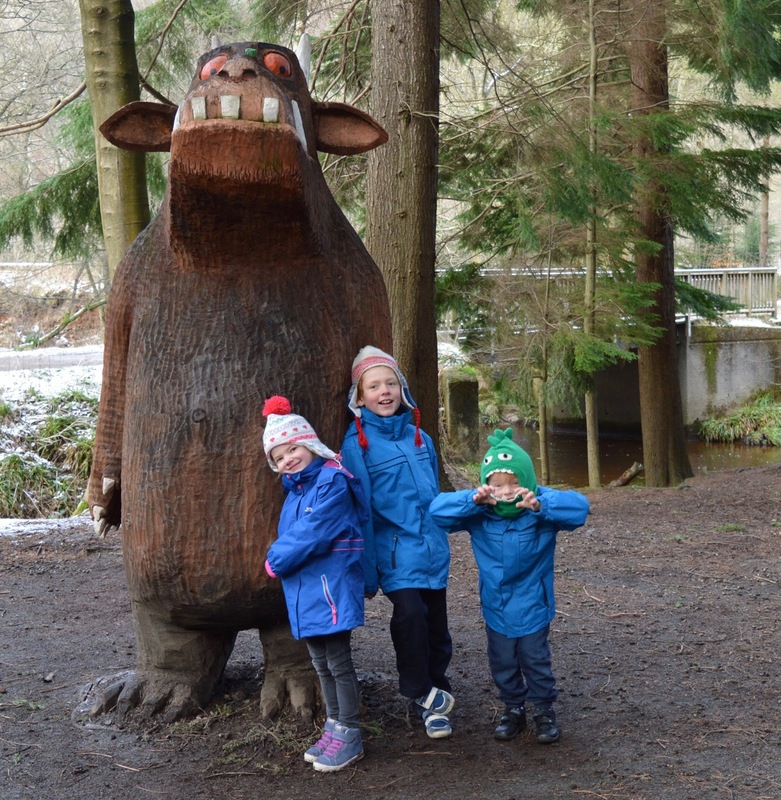 The kids think it's really magical that we have a real tree from 'the Gruffalo's forest' and I'm sure they would have been thrilled to have been there - if you get the chance, I'd definitely recommend making a family day of it. 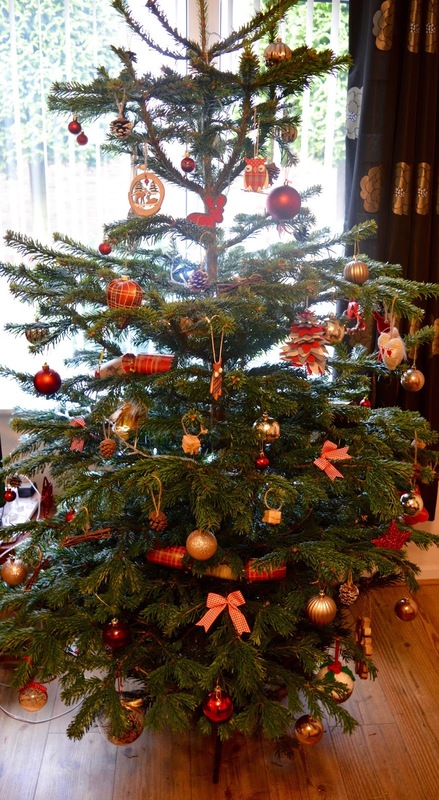 I wasn't very confident when choosing my tree so luckily there are plenty of guides around to help you and will give you the pros and cons of each tree. 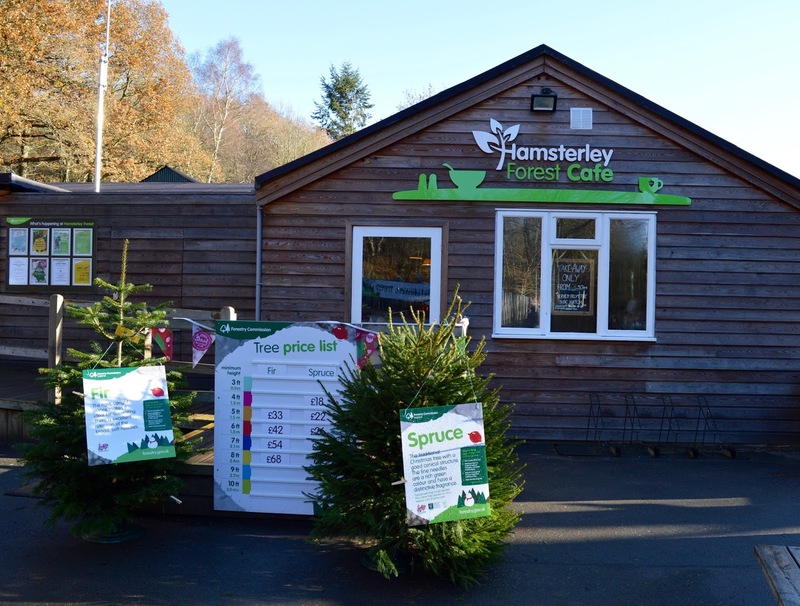 There are Spuce or Fir trees available from Hamsterley. 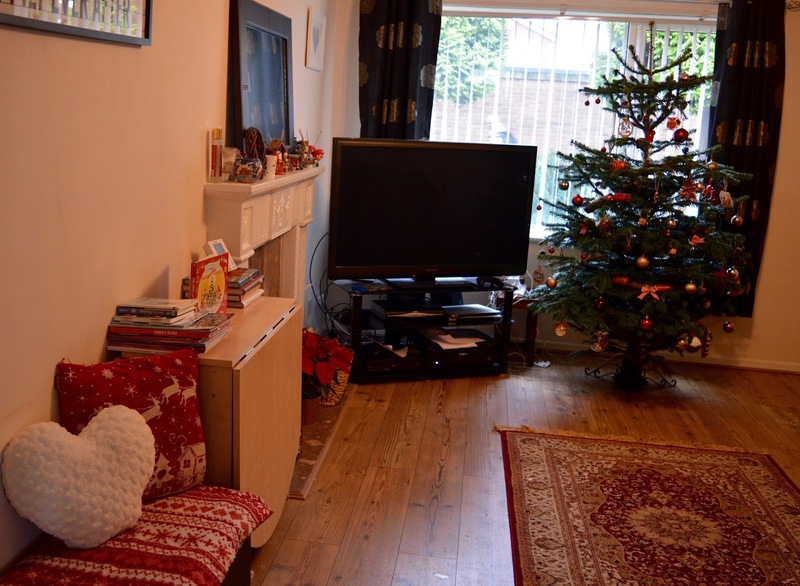 We went for a 6ft Fir in the end. The staff are superb and Steve left saying he wishes he could have their job as they clearly love it. 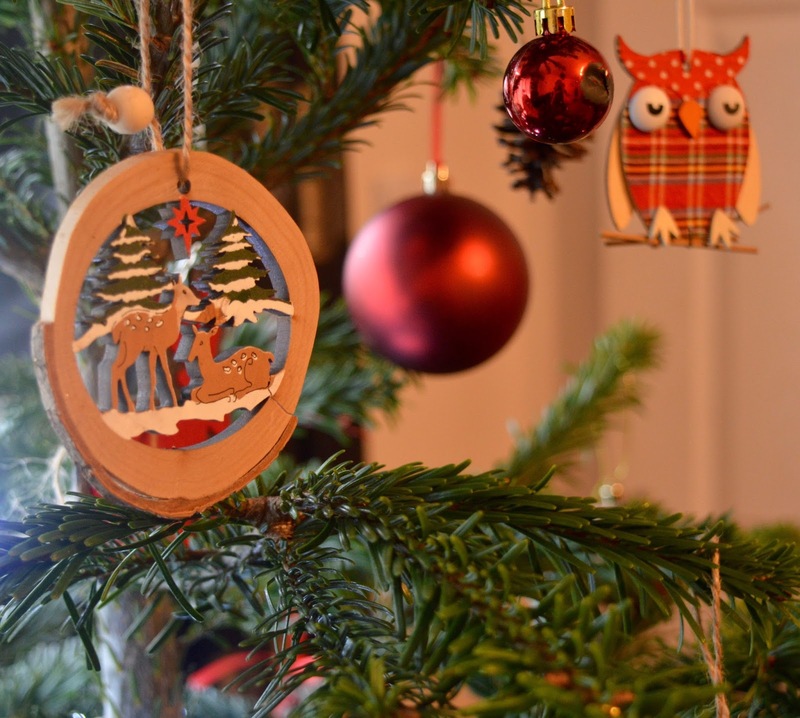 They will take the time to help you choose a perfect tree, advise which one might be best for your family and will show you as many as you like until you find 'the one'. 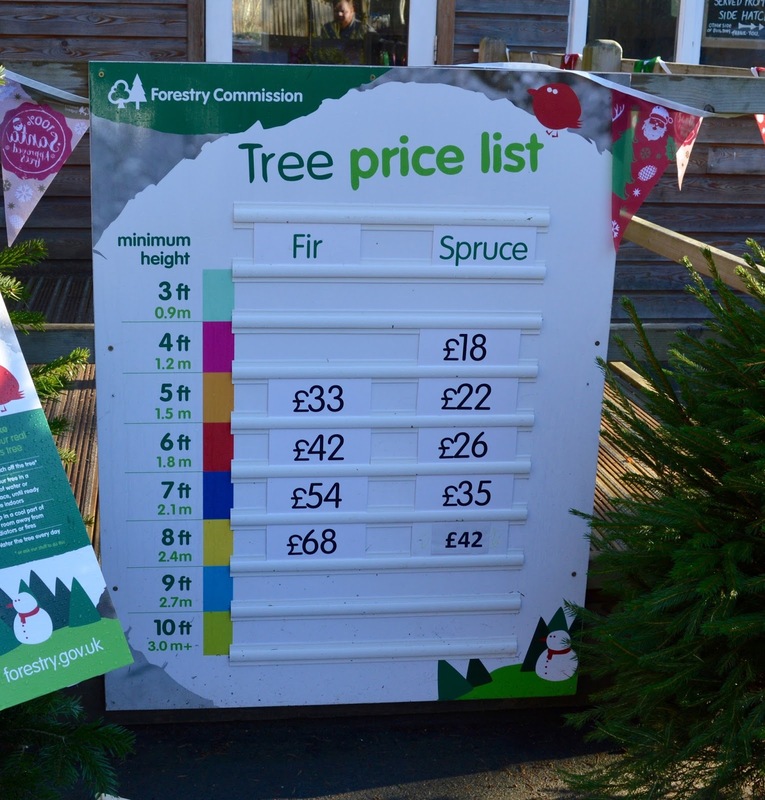 They'll then wrap it up for you and advise you to bring your car right up to the tree sales area to easily pop in in the boot before you leave. 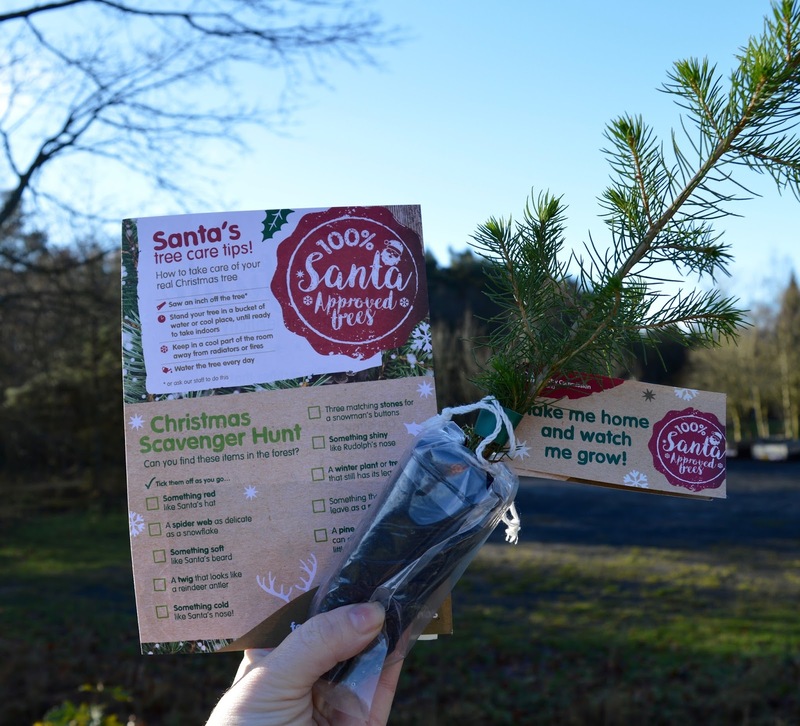 As mentioned above, every tree comes with a baby sapling (which is way cuter than expected) and a 'Santa approved' certificate. 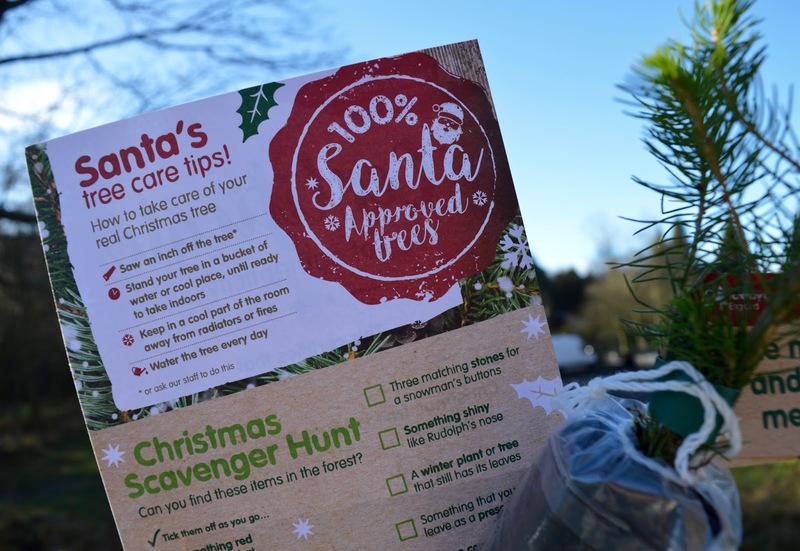 You also receive a Christmas forest scavenger hunt for kids and tips for keeping your tree in tip top condition. 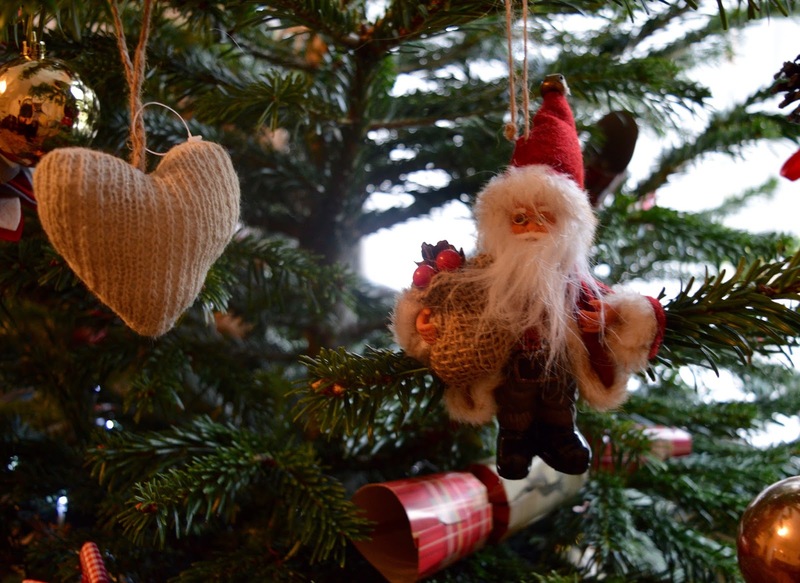 There are also festive crafts planned and don't forget to enjoy a hot drink and cake in the cafe. 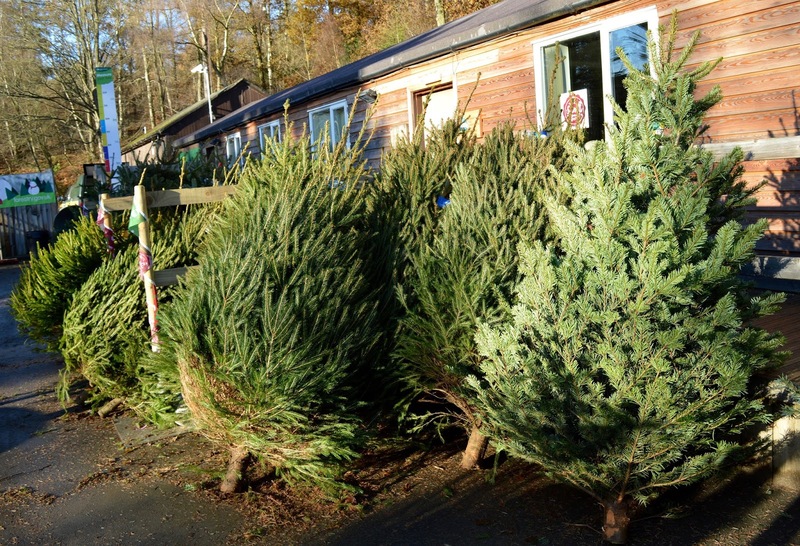 If you are super busy and don't have time to visit, you can buy your tree online and have it delivered straight to your door. 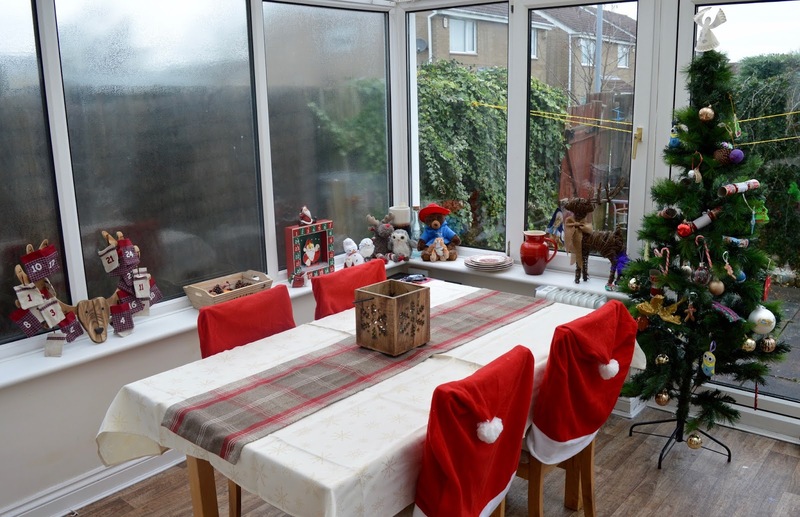 .......and out old 'artificial' tree in the conservatory for comparison. 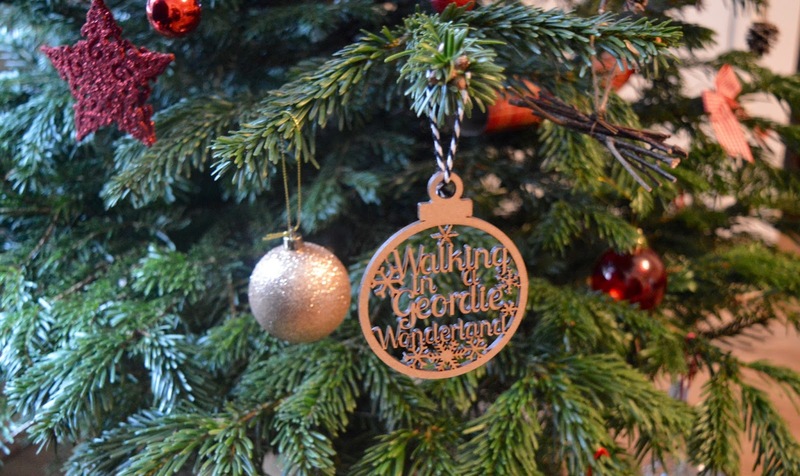 Disclosure : We were provided with a complimentary Christmas Tree in return for writing about our experience. We always had a real tree when I was growing up, something I don't think I really appreciated at the time. It's been so many years now and you've convinced me to get a real one next year .. Just got to work on the husband now!